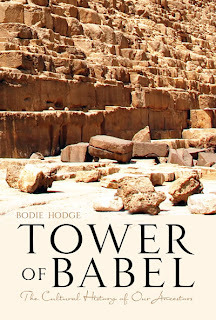 Tower of Babel by Bodie Hodge is a comprehensive study of the events surrounding the building of the tower of Babel and the dispersion of the people afterwards. The author addresses the world's attacks on Genesis 1-11 and discusses the importance of studying the history and theology of the Biblical account in order to refute these attacks. Tower of Babel is extensively researched and includes photographs, charts, tables, and maps to support the author's points, as well as footnotes on every page. I was intrigued by this book when I read the description of it. The story of the Tower of Babel is my son's favorite, and he requests that I read it to him repeatedly. I was happy to receive this book to review so I can answer many of my son's questions and become more knowledgeable about this intriguing event from history. Though this is not a children's book, educators and parents will find it to be a valuable resource for teaching. I share the chapters on what the purpose of the tower was, what the tower looked like, and how the people traveled with my kids to supplement our history studies. They (and I) are fascinated with the information we learn. As a homeschool mom, I find Tower of Babel to be a wonderful discussion-starter. The genealogy portion of the book is a thorough study, and it is neat to see the people on the maps to better understand how everyone dispersed. The author also touches on the subject of racism, "Race is often attributed to man's evolutionary origin, ignoring the effect the Babel dispersion had in leading to the ethnic and geographical concentration of people with various skin shades and features" (p. 17). When readers see how the genealogy points everyone back to Adam and Eve, how can anyone not see that we are all part of one race: the human race. So, why is this book important? The author not only provides comprehensive facts and historical data, but he also points readers toward the bigger picture: the authority of God's Word.